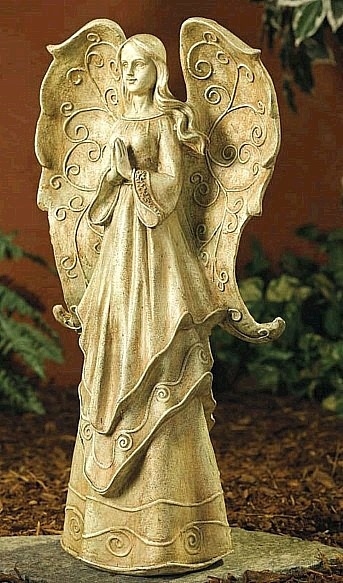 Another of our classic angel statues, this graceful angel is shown here with her dressy robes marking a reminiscence of the classics. She holds both hands together in devotional prayer. Wings outstretched with immaculate detail, she comes only available as shown in a classic finish. Made of resin. Hand crafted. Dimensions: 21.5"H x 10.8" x 7"
Normally ships in 3-4 weeks.